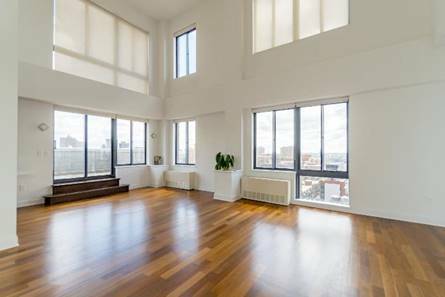 NEW YORK – July 27, 2017 – Instrata Gramercy, the 33-story luxury rental building at 290 Third Ave., has completed its new six-room duplex penthouse. The 1,579-square-foot unit includes two bedrooms and two-and-a-half baths, plus a 308-square-foot terrace granting sweeping views of the city. The kitchen features stainless-steel appliances – including a Liebherr refrigerator, Bertazzoni range and microwave, and Bosch dishwasher – Taj Mahal quartzite countertops, an island with breakfast counter, custom walnut-veneer cabinets with aluminum inset doors and soft-close drawers, and Moen sink hardware. The unit also features plank-wood floors, expansive windows with wireless blinds, and high ceilings throughout, with marble bathrooms and a washer-dryer. Amenities at pet-friendly Instrata Gramercy include the hotel-style Instrata Concierge, exclusive community activities and events, fully furnished wraparound roof deck, 24-hour attended lobby, fitness center, laundry and dry cleaning, bike room, available storage, and complimentary ClubCorp privileges that give residents access to 400 private clubs worldwide and special offers at more than 700 hotels, resorts and entertainment venues. 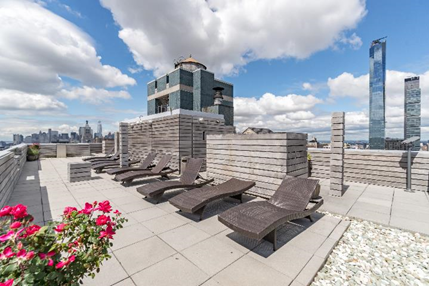 Instrata Gramercy’s duplex penthouse is offered at $9,995 per month with a 13-month lease with one month free. Instrata Lifestyle Residences is a luxury brand of rental developments that elevate the resident experience through distinctive design, spacious layouts, condominium-level finishes, unparalleled amenities and hotel-style concierge services. Located in sought-after neighborhoods, Instrata residences provide a year-round, resort-like experience in which residents are encouraged to engage with each other in fun and enriching ways. Facilitating this lifestyle are appealing communal outdoor spaces and a rich calendar of resident-exclusive events spanning everything from rooftop cocktail parties and movie screenings to boot camp in the park and cooking classes. 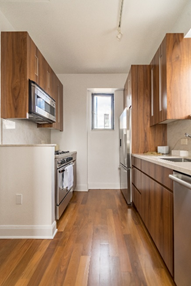 Instrata residences have opened in five New York City neighborhoods – NoMad, Gramercy, Hell’s Kitchen, Brooklyn Heights and Park Slope – Greater Washington, D.C.; Dallas; and Los Angeles. More on Instrata Lifestyle Residences is available at www.InstrataResidences.com.